Watch the video of Yolanda Renee King's speech here. During Black History Month, we stop and reflect on all the great achievements and advancements from those who too often have their voices silenced. One of the most prominent voices we think of is that of the Reverend Dr. Martin Luther King Jr. (MLK). Though he was tragically assassinated in April 4 of 1968, we still remember his life and famous speech. Continuing the legacy, 10-year-old Yolanda Renee King, MLK’s eldest granddaughter, has chosen to follow a life of activism as well. 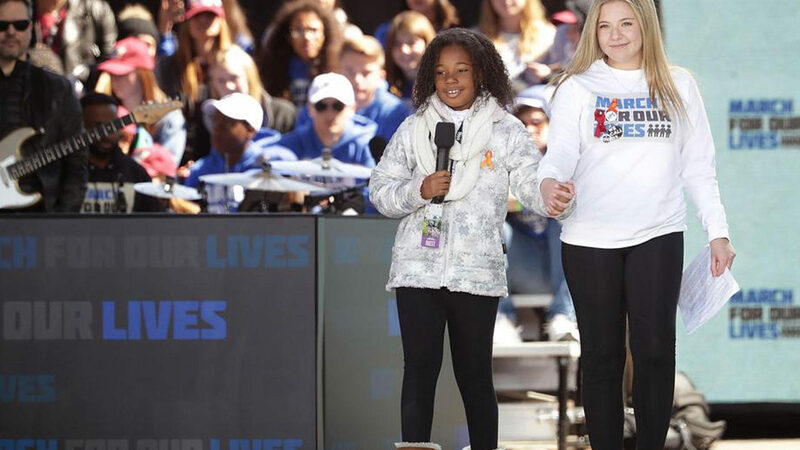 Young King spoke at the March for Our Lives in Washington, D.C. last year on March 24. "My grandfather had a dream that his four little children would not be judged by the color of their skin but by the content of their character. I have a dream that enough is enough, and that this should be a gun free world, period,” said young King at the rally. Young King’s parents said that though it was difficult to allow their daughter to follow a life of activism, it was natural because she was so passionate about gun control for a long time. Reflecting, young King said that her grandfather would be pleased with the progress we’ve made with the #BlackLivesMatter movement and the #MeToo movement; but overall, he would see that work still needs to be done. Though fighting for a different cause, we can be certain Reverend Dr. Martin Luther King is smiling with pride at his granddaughter and excited to see what she will accomplish next.